While we are all aware of the many creams and surgery options available on the market to make our skin look more youthful, maintaining a healthy diet is also an important part of skin care. And it’s not just about what you eat, it’s about what you drink. Dr. Frank Lipman, MD, Founder of the Eleven Eleven Wellness Center explains, “The nutrients in a juice get into the bloodstream more quickly than if you were to eat the fruits and vegetables on their own. 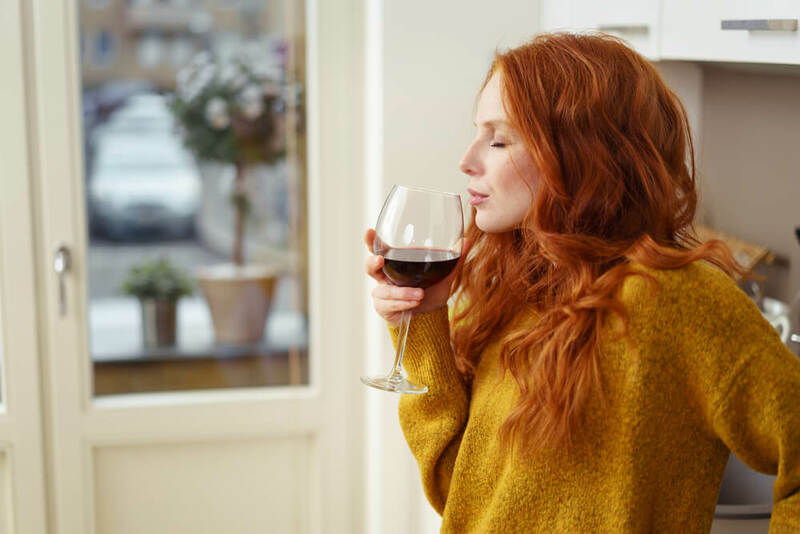 Your skin is a mirror of your internal state, so if you’re healthy and clean on the inside, your skin cells will be more visibly nourished on the outside.” With that in mind, let’s take a look at some beverage options for healthier skin. Research now indicates that proanthocyanidins, or the antioxidants found in red grapes can prevent oxidative reactions in your skin. Oxidative reactions often stem from sun exposure and it can damage and kills cells increasing the risk of sunburn, wrinkles and even skin cancer. However, keep in mind, the recommended cap on alcoholic beverages is one a day for women and two for men. A 2011 study from the Harvard Medical School found that coffee drinkers are less likely to develop basal cell carcinoma (the most common type of nonmelanoma skin cancer) than those who do not…. and the more you drink, the higher your resistance. Those who drank 3 cups a day lowered their risk by 20% in women and 9% in men. Researcher Fengju Song, PhD offers that the caffeine in the coffee may help reduce potentially cancerous UV damaged cells by stimulating them to die off naturally. According to the Journal of Nutrition, women who drank 4 cups of green tea a day for 12 weeks, lowered their risk of sunburn by 20%. It was also reported that these women increased their skin density and elasticity, resulting in a younger appearance. A 2011 study showed that the powerful antioxidants in the tea, called catechins, absorb UV light to protect the skin. Dermatologist Dr. Rachel Nazarian, M.D. at Schwieger Dermatology Group recommends kale as an amazing multi vitamin for skin. “It has Vitamin A (also found in anti-aging creams such as retinol) and helps promote cell growth and healthy cell turnover, getting rid of the older dull skin. Then there’s vitamin C and copper which are the foundation for collagen, and keep skin strong and able to heal itself properly. Pomegranate juice is another beverage recommended by Nazarian. She calls it a “super juice of sorts”, going on to say that it contains a huge amount of antioxidants and polyphenols, over twice as much that of green tea. This is beneficial in the nurturing of fibroblasts in the skin which produce collagen. More collagen means less fine lines and wrinkles. “The density of antioxidants found in pomegranate juice also improves the tone of skin,” says Nazarian. Do you drink juice to improve your skin health? What juices do you find work the best?